Australia's first ‘wood encouragement policy’ is one step closer thanks to a Latrobe City Council initiative. The council program involves a series of consultations for industry professionals and the public on the benefits of wood as a structural element in construction. In March, Latrobe City Councillor Sandy Kam spoke at the ForestWorks Industry Development Conference, where her presentation sparked considerable interest and discussion. Kam emphasised that the idea of a wood encouragement policy was not to be prescriptive or heavy-handed, but rather to simply ensure that wood gets considered after fully understanding its environmental advantages compared to other choices. ForestWorks, an Australian learning and development organisation for the forest and timber products industry, has publicly congratulated Latrobe City Council for taking these steps and believes it will culminate in Australia's first Wood Encouragement Policy. 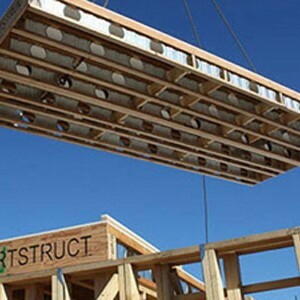 “We applaud the council on its effort to educate local industries and the community about the benefits of using wood ahead of less clean building products,” ForestWorks CEO Michael Hartman said. Latrobe City Council’s mayor, Sharon Gibson, also weighed in on the debate, claiming timber’s economic and stimulus benefit. “This industry, which provides softwood, value-added hardwood and paper products, generates an estimated $860 million each year. Its economic significance is demonstrated by the ongoing presence of major timber producer HVP and manufacturers such as Australian Paper and Carter Holt Harvey within our City,” he said. Hartman adds that the initial steps towards a future with timber in construction must come from education. “The need to educate the community on a range of environmental issues is critical to the future of our planet and our society," Hartman said. "Latrobe City Council has taken a significant and historic step towards that recognition now. I hope it provides food for thought across the country." The news comes at a time when timber as a structural element continues to gain popularity amongst government and private institutions who endorse the material for its environmental and construction benefits. Just weeks ago both the United States and New Zealand announced million dollar plans to encourage tall timber building construction. Frame Australia also recently announced the theme of its Melbourne conference and Exhibition to be ‘prefab timber and engineered wood in building construction’. The Latrobe City Council is set to hold an industry round table in the coming months to provide representatives from the construction sector and existing users of the local resource with an opportunity to share their views and concerns regarding the proposal.